A major manufacturer of cooking and kitchen accessories. Their innovative product range is perfectly suited to the changing needs of life, food and its preparation. 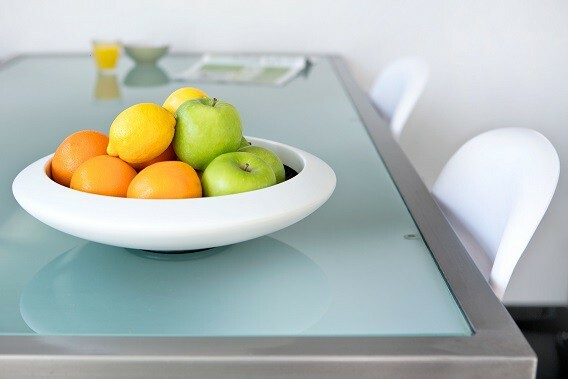 With its sleek, spheric shapes; the combination of metal and a knitted anthracite interior; and the possibility to position the bowl on the plastic support ring in different ways, you can create an artistic presentation with this fruit bowl. But what’s even more important is that the fruit stays fresh longer on the breathing interior and doesn’t get bruised that fast. ’Aireado’ means ‘airy’ in Spanish. 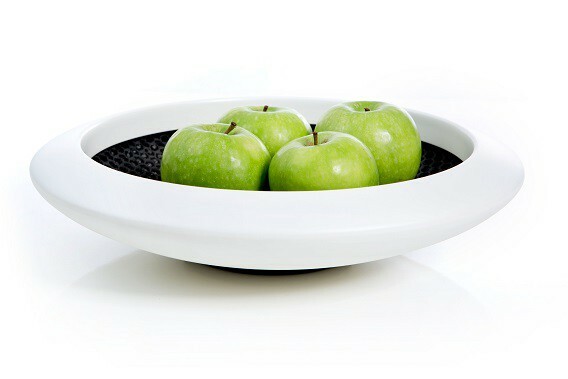 Designer Flip Ziedses des Plantes has added this to this special fruit bowl in his design. The outer bowl is made of metal and coated in white. The interior is a knitted and food-proof fabric that ensures a soft, breathable bottom. Consequently, the fruit in this fruit bowl lies on a soft, airy fabric, as a result of which apples, oranges, pears, and other fruit stay fresh for a longer period of time, and the risk of bruises in the fruit decreases sharply. 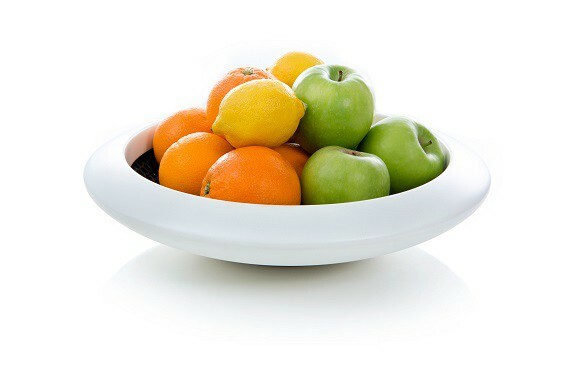 This Aireado fruitbowl is also available in the color silver. 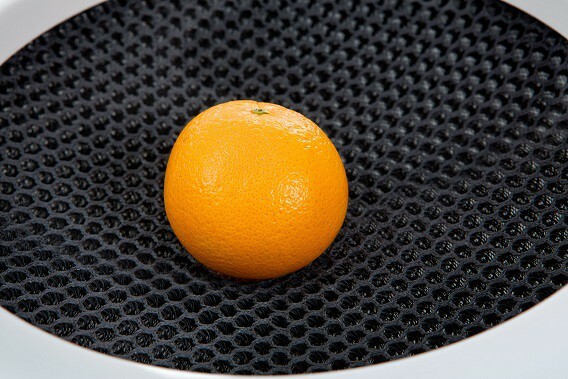 The knitted hygienic fabric in the bowl not only ensures fruit airing, but also gives this sleekly designed fruit bowl a surprising appearance because of the combination with the metal outer bowl and the spherical shape. Moreover, you can take the polyester interior out of the bowl and clean it with a soft brush and detergent. 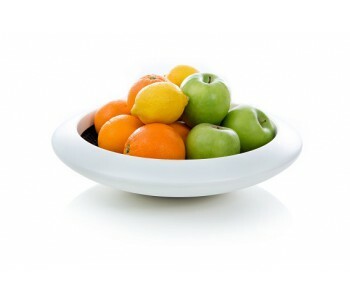 The plastic ring under the bowl ensures that the spheric fruit bowl stands firmly on the table. You can place the bowl on the ring in many different ways, enabling you to constantly change the appearance of the fruit bowl. This allows you to present your fruit like a work of art.